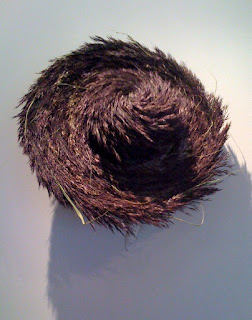 From "Irreverent: New Nordic Craft Art" at Yerba Buena. 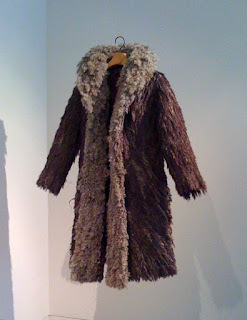 Rapinoja is a Finnish artist whose "Coat of Mother Earth" and "Hat of Mother Earth" reminded me of the Native clothing I'd seen in December at the Lil'wat and Squamish Cultural Center in Whistler (see entry below), some of which was made from similar materials. I suppose could go all expository here, but that would be too obvious.